What’s probably the most common car on U.S. streets isn’t a Chevy or a Ford, but aToyota. The Camry has been the best-selling car inAmerica for eight of the past nine years. More than ten million Camrys have been sold since 1983, when the model was first introduced, and the majority of those have been sold in theU.S. 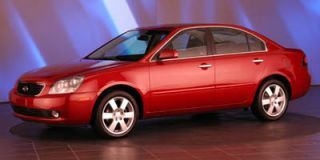 With each new Camry much improved, and an even better value it seems, expectations for the new ’07 model are high. There’s also the issue that the Camry is just so darned good and efficient at being a comfortable, economical, trouble-free sedan that it has come to be viewed as an appliance, and has gathered descriptions, according to Toyota execs, like “bread-and-butter,” and “dad’s car.” And driving a Camry sort of lends itself to an “I don’t care about cars” anonymity. Is the Camry boring, or is it just too darned good? That was the challenge: how to bring more style — and a little more driving enjoyment — to the Camry without alienating any of Camry’s very loyal customer base. To start, the team behind the latest Camry sought to add much more upscale character to the car. While that was also said to be a goal of the last-generation Camry, it’s really worked this time. The Camry’s exterior shape emphasizes sharp surface lines and a multi-leveled hood and rear decklid, along with an emphasis on continuity that’s echoed inside as well. As expected, the new Camry is highly influenced by the current Avalon, introduced last year, and also inherits various design cues and features from upmarket Lexus models. If you squint, on the outside you can even see a little influence from BMW. While the dimensions aren’t markedly different than those of the current Camry it will replace, the proportions have been changed, too, to make it more rakish and flowing, with a more sophisticated headlight and grille treatment, a softer-sloping rear pillar, and the wheels pushed farther out to the corners, increasing wheelbase by about two inches. Versus the outgoing Camry, these changes help stretch the usable cabin space, too, with improved legroom front and back and a revised driving position. The instrument panel area boasts an extensive redesign, too — it’s set rather low, and also seems to wrap around more effectively, emphasizing horizontal lines that continue to the doors — while the rest of the interior has some more subtle changes in packaging. The center stack and console — with shift knob and storage bin side by side — appear quite wide, separating the driver and passenger areas, and remind us of the Lexus GS. The instrument panel design is also all-new, with the self-lit Optitron gauges that have graced the Lexus lineup for a few years, and controls that generally look more like those in a luxury car than a basic sedan. Interior space is one of the more important selling points for mid-size sedan buyers, and that’s been rethought. All Camrys get a revised layout; the front seats have a new Whiplash Injury Lessening (WIL) design for better neck support in accidents, and the seatbacks have been redesigned. Heated leather seats are available on SE, XLE, and Hybrid models, while new cloth upholstery, treated with Sericin, from silkworm fibers, is offered on XLE. On CE, LE, and Hybrid models, the rear seats are split 60/40 and fold down, while XLE models get a 40/20/40-split reclining rear seat with armrest and pass-through. On all models, the steering wheel now gets tilt and telescope adjustability to better accommodate varied driver sizes. 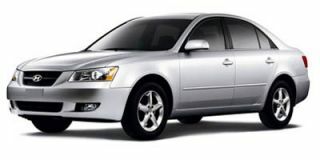 And to accommodate varied needs, there are also plenty of Camry variations offered — everything from a basic, frugal four-cylinder, manual-transmission version to one with a powerful V-6 and a truly Lexus-like level of luxury features, to a new, much anticipated, Hybrid model for those who are willing to spend a little extra money. That’s the big news. Toyota has installed its Hybrid Synergy Drive in the Camry; it pairs an eco-tuned, Atkinson-cycle (high-compression), 147-hp version of the 2.4-liter four-cylinder gasoline engine with a 105-kW electric motor. The motor can deliver up to 203 lb-ft of instantaneous torque, while the combined powertrain makes 192 hp. Camry Hybrids are packaged much the same way as the other models — with similar interior and trunk space. That alone is evidence of there’s evidence of a good design, as engineers had to find places for bulky elements like the hybrid transaxle, inverter, and battery. 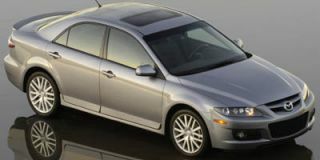 Hybrids also get a slightly different appearance, including blue-tinted headlight reflectors, LED taillamps, and a matte-chrome grille in front that flows into the fascia. The combined front-wheel-drive powertrain delivers up to 192 hp. The Hybrid carries a PZEV emissions rating. EPA fuel economy for the Camry Hybrid will be 43 city, 37 highway, which makes for a range of around 700 miles from its 17.1-gallon fuel tank. 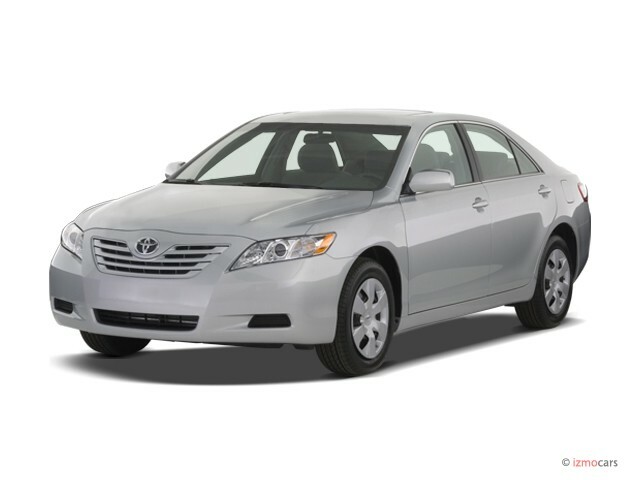 And it drives much like a standard Camry, which we’ll get to in more detail just below. As for the Camry’s standard powertrain, there’s no big surprise — it’s a 158-hp, 2.4-liter in-line DOHC four that’s a revision of the existing base engine, and it should boast especially low maintenance costs. The four-cylinder gets various design improvements. A new 3.5-liter DOHC V-6 replaces the 3.3-liter V-6 as optional, and makes 268 hp and 248 lb-ft of torque, significantly more than the 3.3. 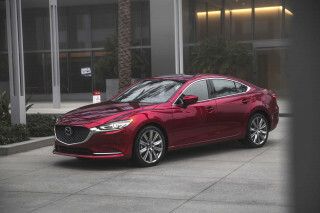 The 3.5 is basically the same engine as is offered in the Avalon (and also now offered in the RAV4), with dual variable valve timing, plus stepless cooling fan for reduced overall noise, and an active, fluid-filled engine mount system that is tuned to be most effective at idle speed. In addition, the alternator uses an acoustically decoupled pulley to help smooth out spikes as accessories cycle on. The V-6 is mated to an all-new six-speed automatic transmission, while the four-cylinder goes with either a five-speed automatic or a five-speed manual. According to Toyota officials, the five-speed automatic is the same transmission as offered with the outgoing Camry V-6, while the all-new six-speed boasts a 20-percent reduction in number of parts versus the five-speed. Shifting for the six-speed is done through a gated shifter that’s much like what’s been offered on Lexus products — you can move the knob over to an ‘S’ position and then simply go up or down a gear at a time. Toyotaengineers thoroughly revised the steering and suspension, aiming to keep the Camry’s ride comfort while improving handling. The steering is now all-electric, with true variable assist, and it’s tuned to behave quite differently with each powertrain arrangement. The front suspension uses a subframe, for the strut and control arm arrangement, and in back there are struts and a multi-link setup, with a hollow stabilizer bar. If you don’t have your mind made up as to which Camry you want, you might have to take a few test drives, as there’s never been such a range in feel between the base four-cylinder car and the top-line V-6 luxury XLE and sporty SE. There was a very discernable difference suspension-wise between the four-cylinder LE, the V-6 XLE, and the V-6 SE we drove. Though the weight between the engines is quite close, there are differences in the way that the steering and suspension are tuned, we were told. The standard four-cylinder engine has plenty of power for most situations, and even enough low-end torque for quick takeoffs from a standing start, as long as you don’t have a full load. Despite its large displacement for a four-cylinder, it’s also one of the most refined fours offered on any vehicle, and if you’re puttering along with traffic with the sound system cranked you might have trouble telling the difference from the six. If you appreciate sports-car power in a family sedan, the V-6 is the ticket (or, possibly, the way to a ticket). It has far more usable power than the engine is replaces, and pushes the Camry into a new category of performance. Toyota claims a 0-60 time of about seven seconds (slightly slower than the RAV4 with the same engine), but it feels considerably faster. The six-speed automatic functions flawlessly, and isn’t flustered by the multi-gear, partial throttle downshifts that cause some competitors to temporarily cough up their throttle map (i.e., hesitate then surge). The new V-6 is extremely refined, with an almost indistinguishable idle, and under moderate throttle revs almost silently through the gears like a vehicle with the Lexus badge. Stomp your right foot down, and you’ll hear just a little bit of raspy exhaust tone. In the Hybrid model, Toyota opted to tune the Camry’s system more for economy than all-out performance (you can expect more of a performance emphasis from Lexus models), as most Camry buyers tend toward the practical and frugal side of the car-buying spectrum. You can expect decent performance, though; the Camry hybrid isn’t particularly sprightly off the line, but it does offer great passing power — better than the four, though not quite as athletic as the six — once the gasoline engine revs up with the motor in full assist. In low-speed stop-and-go driving, Hybrid drivers stand to gain the most, as the Camry can creep along with the electric motor for a considerable time. Like we said, you might notice a pretty significant difference in the way Camrys drive with the three powertrains. 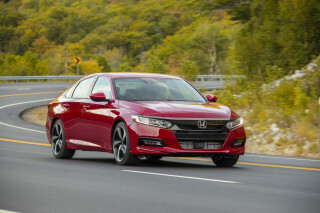 It’s not surprising that we found the basic four-cylinder Camry and the sporty SE V-6 to be the most balanced when flogged along a curvy road, with the XLE to be a little less versed for fast driving. The Camry Hybrid, burdened by about 400 pounds of extra mass, doesn’t exactly feel tossable, but it’s far from clumsy. 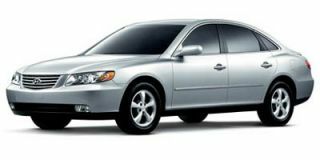 As we hinted to above, the ’07 Camry will be offered with a wide range of equipment, in base CE, LE, sporty SE, or luxurious XLE trims. 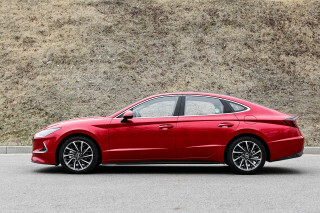 The more seriously sporty SE grade now gets stiffer springs and dampers, a solid anti-roll bar, and stabilizing braces underhood and behind the rear seatback, along with an aerodynamic package and other performance cues. Additionally, a stabilizing brace is added to the underfloor, and a V-brace behind the rear seatback (which doesn’t fold down on SE). The top-of-the-line XLE emphasizes Lexus-like interior appointments and features, including dual-zone climate control with ionizer and filter, and upholstery treated with silk extract. A new-generation navigation system will be optional, as will both a smart-key system and a remote engine starter will be available. Standard features on the XLE will include a moonroof, real woodgrain, and reclining rear seats. There’s also an in-dash multi-function trip computer display on XLE and Hybrid models. All Camrys now get MP3 compatibility and digital sound processing, along with the Auto Sound Levelizer, plus standard auxiliary input jacks for portable audio. The standard AM/FM/CD has six speakers and 160 watts and has very respectable sound, while the top system is an eight-speaker, 440-watt JBL Premium system with four-CD in-dash changer and Bluetooth telephony. There’s also a new-generation voice-activated navigation system available, integrated with the top sound system. Again depending on the trim level, there are steering wheel controls for some of the audio and telephony functions. A Smart Key system is now also available on the Camry — standard on Hybrids and available on XLEs — allowing hands-free unlocking and keyless starting from inside the vehicle. A remote engine starter is optional and functions with the Smart Key system. VSC stability control is available on all Camrys, while Hybrid models get a standard integrated VDIM system, the automaker’s more proactive, integrated stability control system. With a setup similar to that in the Highlander Hybrid, VDIM interlaces with the electric power steering and most of the electronic aids, including the ABS and standard stability control, to anticipate a potential loss of control and allow smooth adjustments — such as changing the steering boost — to help regain control. ABS and Brake Assist will be standard on all models, as will seat-mounted side airbags, rear side airbags, side-curtain bags, and a driver-side knee airbag. 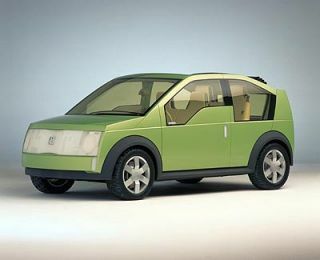 But fuel economy probably remains the top reason for wanting the hybrid, if not being able to boast to the neighbors. It carries stellar EPA ratings of 43 city, 36 highway. While we know that hybrid models aren’t quite turning out their rated mileage in the real world, we were quite impressed with the trip-computer average we saw on our Camry Hybrid test car; in the mixed, mostly stop-and-go driving loop that Toyota had set up for us, the test car was averaging about 32 mpg — not bad at all for a bunch of hot-footed journalists trying to feel out the system. Fuel economy will be a strength on the other Camry models, too, with four cylinder models offering up to 25 city, 34 highway, and V-6s getting 22 city, 31 highway. With the Camry so overwhelmingly competent, it’s hard to find faults even when you go looking for them. There was one that did stand out — the seats, which aren’t at all comfortable for tall, lanky drivers like this one. Taller folks will likely find the lower seat cushions just too short, and the backrests are noticeable devoid of mid-back support. Those in that same category might find sunroof-equipped cars to be short on headroom, too, so make sure you try with the seat properly adjusted before you buy. There are few practical downsides to getting a Camry. But give it a year or two, and they’ll be everywhere. 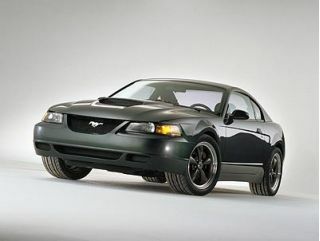 As it’s likely to continue its best-selling status, there are few other models you can buy that assure more anonymity. Also, while the Camry’s styling can be considered attractive by almost anyone, it’s hardly bold. There might be more attention to detail up close, from the other end of the parking lot it still looks like a Camry. From a purely practical perspective the new Camry doesn’t feel a lot larger or more comfortable than the already-overachieving Camry that it replaces. But especially with the more expensive versions, it succeeds to bring in a little more emotion, with a little dash of Lexus style — enough such that people who might not have considered a Camry before will take a look. Even more surprising is that the hybrid likely won’t be the priciest Camry in the lineup — though we could see initial demand at dealerships driving premiums through the roof. Initial marketing plans call for the Hybrid to slot in below a loaded V-6, appealing to customers who value the technology of the Hybrid system more than the additional luxury or power. Look for all Camrys to post a modest price increase across the board, though. The new Camry looks to be another home run forToyota. It’s not exciting, but it goes above and beyond what the vast majority of car buyers need, with more luxury than most of them will actually be looking for. And it raises the bar for the competition, once again. We've had an outstanding ownership experience. I can't evaluate our car's safety because, so far, I haven't needed to use it. I assume it to be excellent. 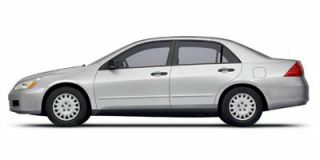 The car has met or exceeded everything we wanted it to do and has been totally reliable (with the... I can't evaluate our car's safety because, so far, I haven't needed to use it. I assume it to be excellent. The car has met or exceeded everything we wanted it to do and has been totally reliable (with the exception of a slow leak on the water pump). Received new Camry Hybrid ordered w/all the stuff. Picked it up with 2 miles on the odometer (currently 195K +) Good mileage for that size & generation (32mpg+). Only one break job - yes! No major repairs... Received new Camry Hybrid ordered w/all the stuff. Picked it up with 2 miles on the odometer (currently 195K +) Good mileage for that size & generation (32mpg+). Only one break job - yes! No major repairs beyond AC compressor. Love all the 'talk to the car' tech. Rides nicely, accelerates adequately and delivers dependable low maintenance longevity with style. I sold a (bought new) 2003 Cadillac CTS for this Camry Hybrid & never looked back. Best and most reliable automobile I have ever owned and driven. Good ride, very low maintenance cost, holds resale value better than most.